If you have ever walked through a german train station, you will have noticed the huge newsstands with never ending arrays of Newspapers and magazines. With around 330 daily newspapers and an additional 25 weekly editions, Germany is the biggest market of newspapers in europe and the 5th biggest in the world. Here Pressefreiheit (Freedom of the Press) is the 5th of the 19 fundamental rights found in the Constitution, and is of great significance. Media or the press is now often considered the 4th power of government. In the 3rd Reich and later in the DDR, the press was controlled and subjected to propaganda, but has since been protected in their freedom, both by the government and the entire population. There is even a mandatory fee for public radio and television. Recently however, the big newspapers and public broadcasting stations, aiming to give objective reports have been highly criticized. Many people, especially right-wing conservatives, felt that their coverage on the Migrant Crisis, and terrorism in Europe had been too positive, continuously showing only one side of the story. The term “Luegenpresse” (“Lying- Press) was introduced, and went viral among the population. Despite voices of accusation, newspapers still have a great influence and are highly respected. 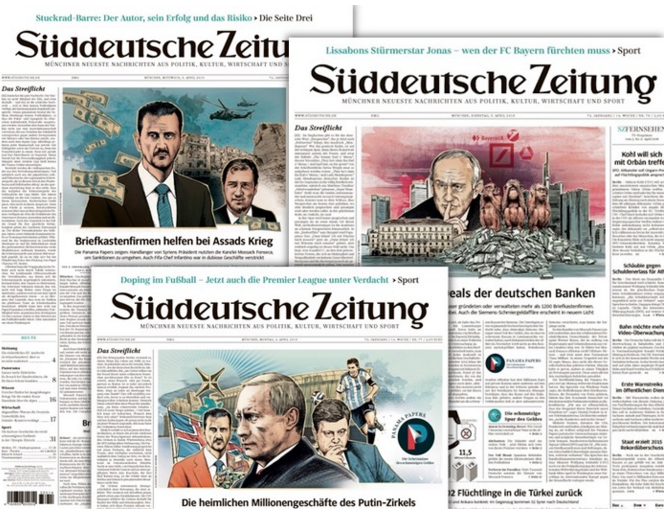 Just recently the Sueddeutsche Zeitung – one of the three biggest weekly papers – gained international acclaim for an investigative story revealing offshore bank accounts of well-known personalities across the globe. The leak, which became known as the “Panama Papers”, sparked international uproar and showed, that thorough Journalism is still of great importance, even in an age where traditional Newspapers have long been replaced by online newsfeed.